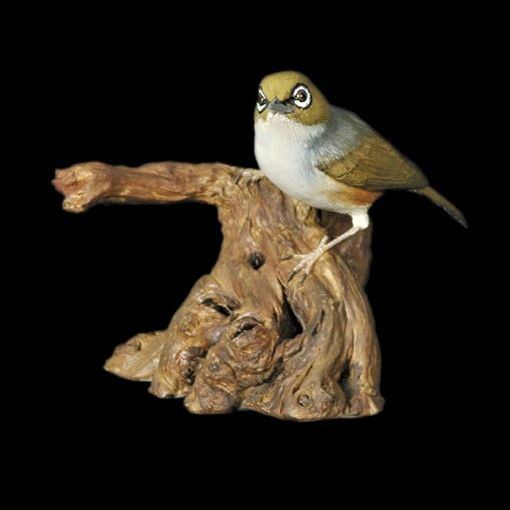 This delightful Silvereye poly-resin figurine is beautifully crafted and hand-painted and is an ideal gift for the discerning buyer looking for something just that little bit different. The Silvereye is one of Australias' smallest birds, it grows to around 10cm and weighs only 11 grams. They migrate huge distances for such a tiny bird. They are known to migrate from Tasmania right up to southern Queensland.